What Kind of Think Tanks Does China Want to Establish? China aims to establish think tanks with Chinese characteristics and enhance national soft power. 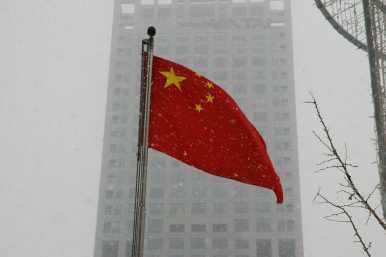 The nine ministries — the Ministry of Civil Affairs, the Publicity Department of the Communist Party of China (CPC), the Organization Department of CPC,the Ministry of Foreign Affairs, the Ministry of Public Security, the Ministry of Finance, the Ministry of Human Resources and Social Security, the General Administration of Press and Publication, and the State Bureau of Statistics — involve both the Party and the government. The comprehensive combination implies two things: first, all nine ministries will play a role in regulating Chinese think tanks; and second, China is really serious about developing think tanks now. So what kind of think tanks does China want to establish? The Party organization should play the role of political core. To ensure that think tanks are on the right political direction, the party organization should make suggestions on important matters including major decision-making, business activities, major expenses, accepting large donations, and carrying out foreign activities. Encourage and support qualified social think tanks … to participate in public diplomacy and global governance, to tell good Chinese stories, to spread a good Chinese voice, to enhance national soft power, and to help China have a strong international say. The new Opinion apparently shows that the Chinese authorities intend to shoot two birds with one stone: regulating non-governmental think tanks and then using these think tanks overseas for their own advantage. However, there is also a big question mark hanging over the discussion: whether these well-regulated think tanks can still have an independent voice.